They have poor eyesight but a very highly developed sense of smell. 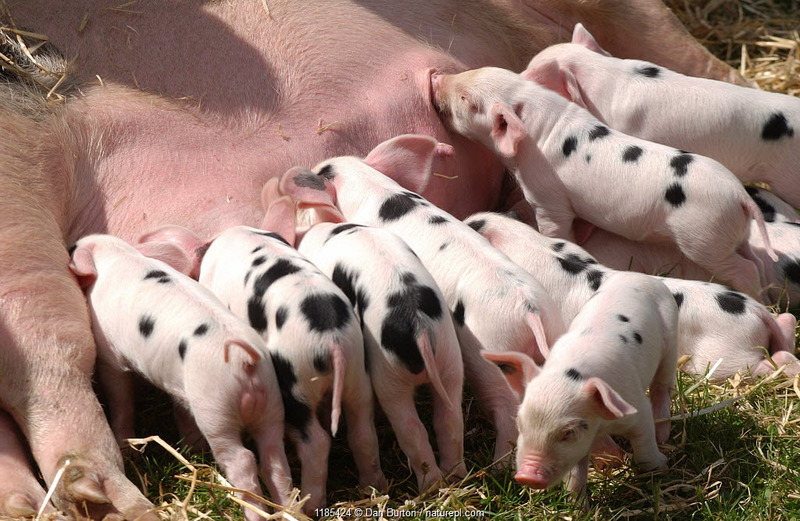 Female pigs or sows can give birth to as many as 16 piglets. Pigs have been widely used in medical research due to their physiological similarity to humans. Recent research describes pigs as cognitively complex creatures with the ability to remember objects, perceive time and use learned information. 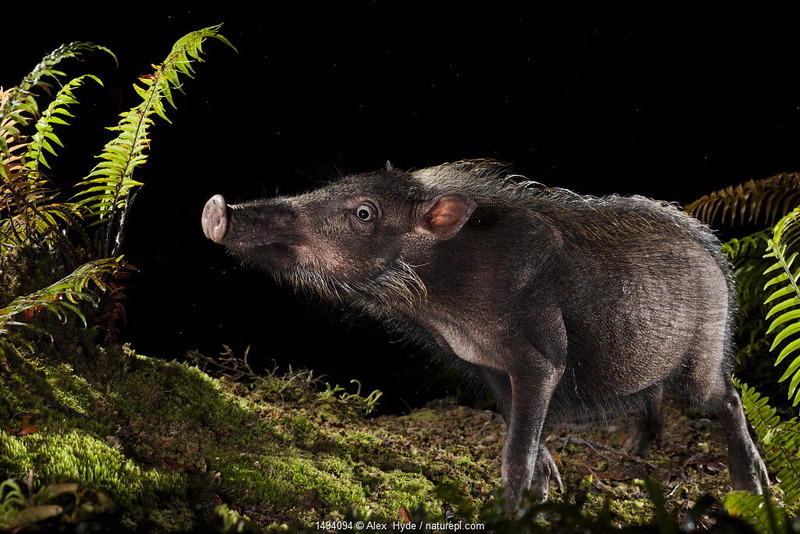 There are 17 species of old world pigs (Suidae), ranging in size from the tiny Indian Pygmy hog to the Giant forest hog of central Africa, and 3 species of peccaries or new world pigs (Tayassuidae). 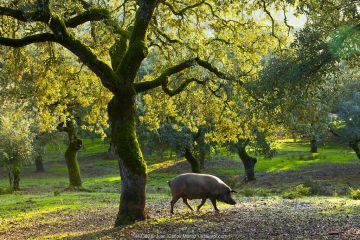 Pigs are highly social, intelligent, omnivorous mammals. 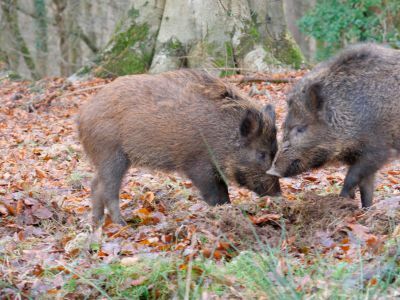 The Eurasian wild boar, widely distributed in Europe and Asia, is the ancestor of the domesticated pig, which now has an estimated total population of more than 1 billion. 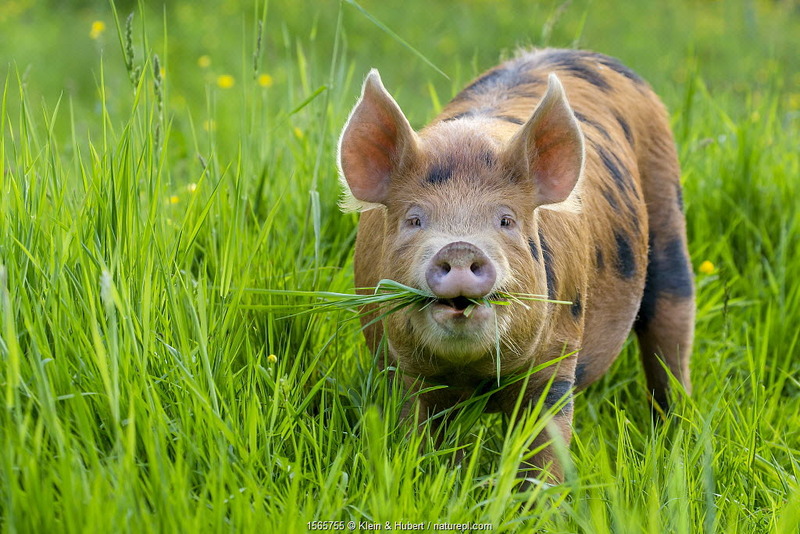 Pigs were one of the earliest domesticated species, probably around 9,000 years ago. 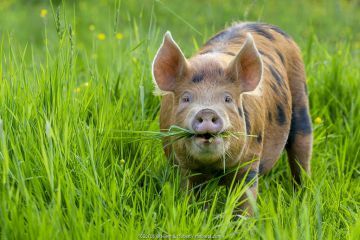 Have a look at our Prints gallery for some very photogenic pigs. 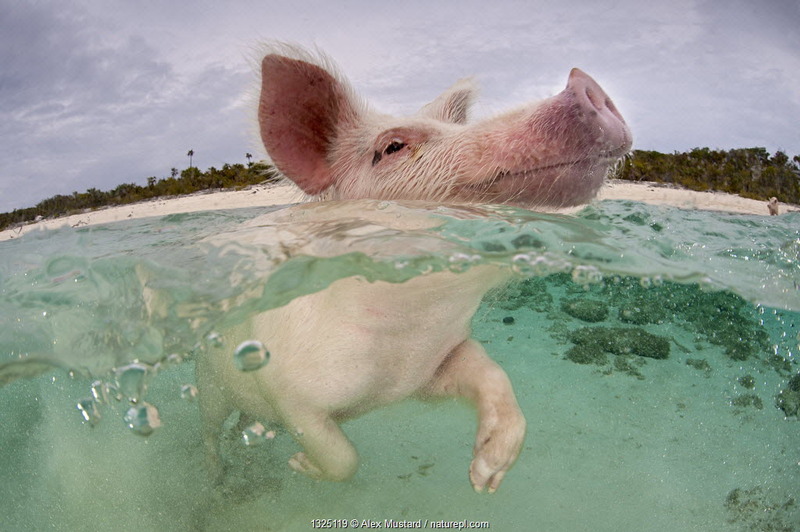 Domestic pig (Sus domestica) swimming in sea. Exuma Cays, Bahamas. Tropical West Atlantic Ocean. 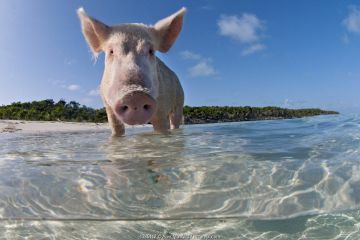 This family of pigs live on this beach in the Bahamas and enjoy swimming in the sea. 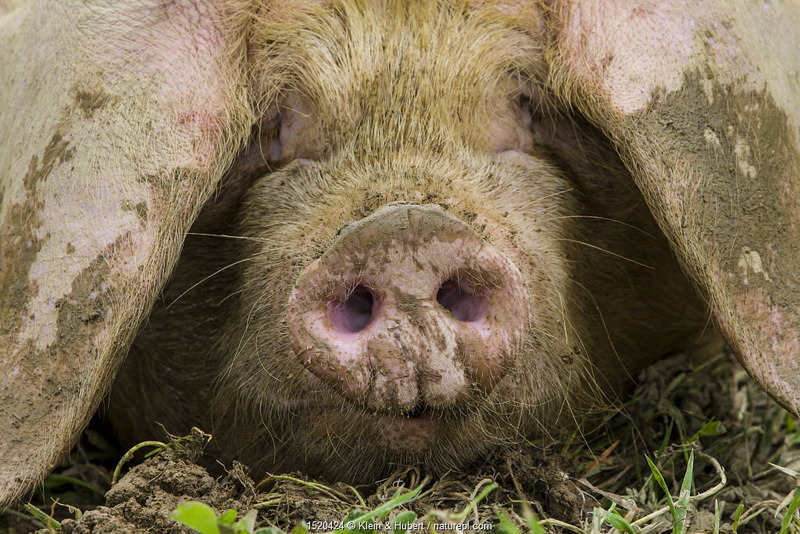 Porc Blanc de l'Ouest / Western white domestic pig (Sos scrofa domesticus) resting in mud, close up of snout and ears, free range organic farm, France. 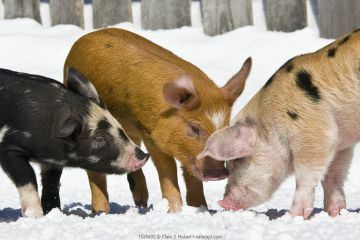 Three piglets (Sus scrofa domestica) Turopolje crossed with Duroc x Bentheimer, age one month, playing in snow, Germany. 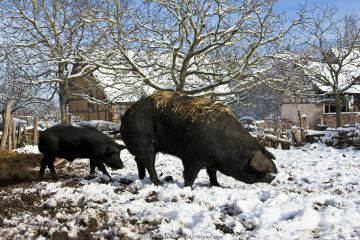 Gascon domestic pigs (Sus scrofa domesticus) in paddock in winter. Bearded pig (Sus barbatus) foraging for food at night, Maliau Basin, Sabah, Borneo. Split level view of a domestic pig (Sus domestica) bathing in the sea. 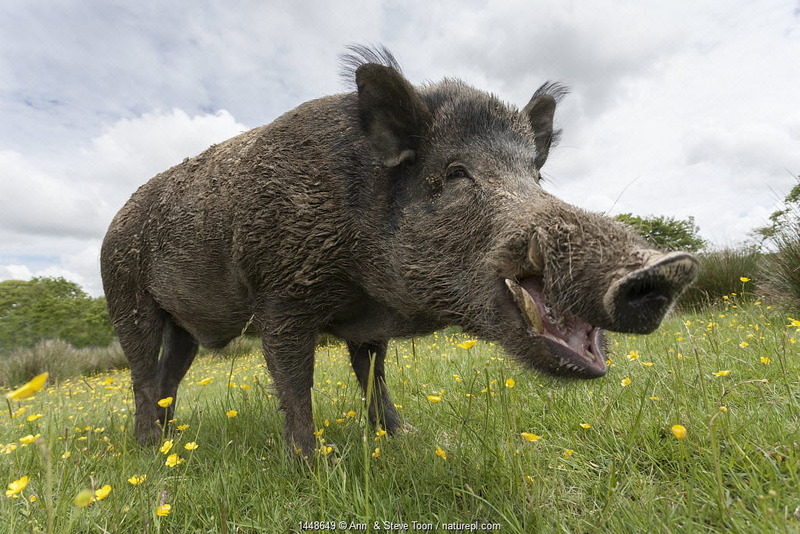 Exuma Cays, Bahamas. 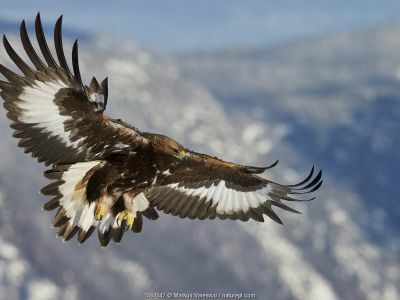 Tropical West Atlantic Ocean. This family of pigs live on this beach in the Bahamas and enjoy swimming in the sea. 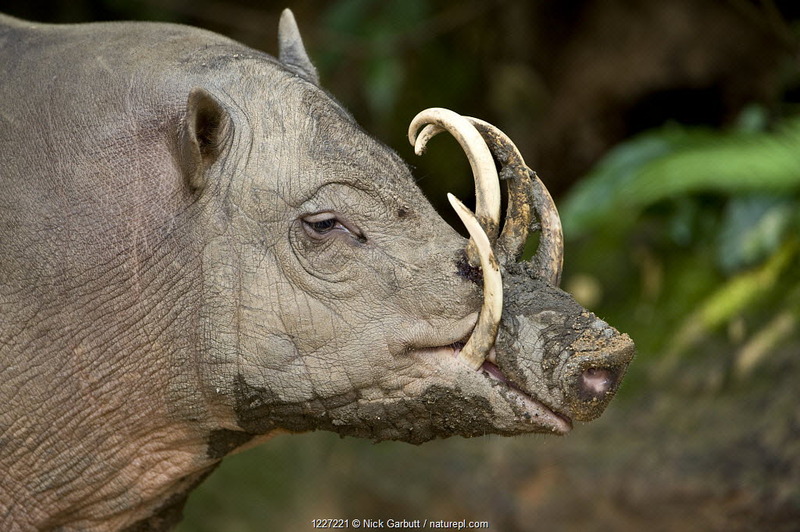 Male Babirusa (Babyrousa celebensis) from the Island of Sulawesi, Indonesia. 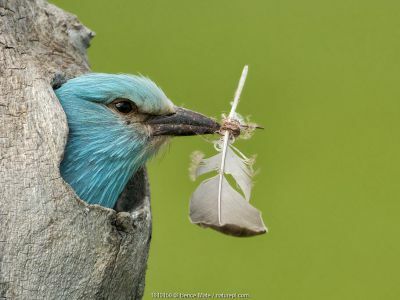 Captive, Singapore Zoo. 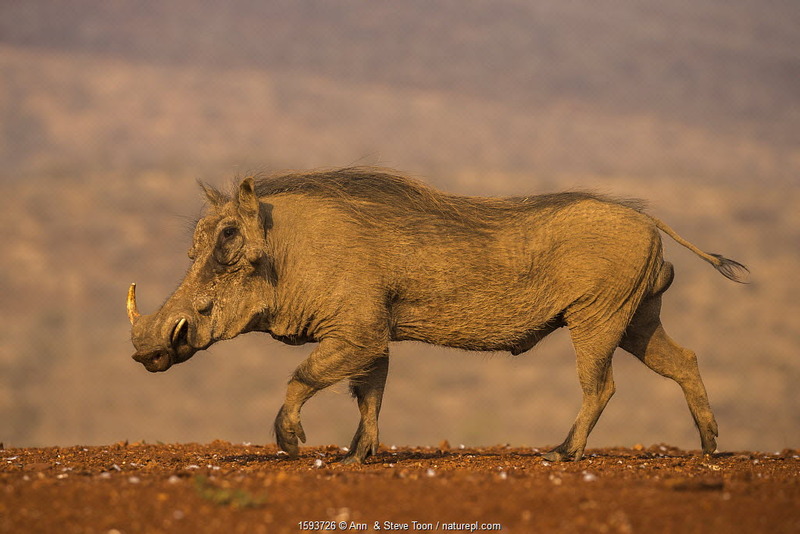 Warthog (Phacochoerus africanus) walking, Zimanga private game reserve, KwaZulu-Natal, South Africa, September.